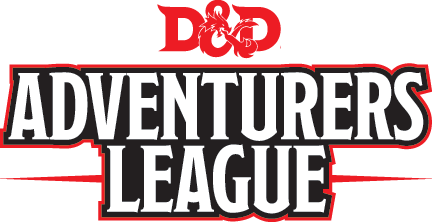 D&D Adventurers League is a weekly “living campaign” in the 5th Edition of Dungeons & Dragons. As you participate in D&D Expeditions adventures, your characters will earn experience and treasure, and you will have the opportunity to bring those characters to public play events anywhere in the world. Atomic Empire will be hosting D&D Adventurers League every week on Thursdays from 6:30PM–11PM. To sign up, please visit our Warhorn portal and look for the DDEX games listed. A $10 AL membership will provide entry to an unlimited number of sessions during a calendar month. Players may register and pay for their membership online or in person at the store. Payment is not due until the evening of your first session of play. A player may join a single session without a membership for a one-time fee of $6. Anyone who is a DM for at least 2 sessions over the course of a month will get their next month’s membership free. New players play for free! Anyone may play at a level 1-4 table without a membership. Children 11 and under may play for free if a parent or other guardian is also playing. A character. If you’d like to create one prior to playing. To create a character, follow the rules in the D&D Adventures League Player’s Guide (available at dnd.wizards.com). No prior Dungeons & Dragons experience is required to play. To learn more about the latest edition of D&D, you can download the free D&D Basic Rules. Online registration is encouraged but not required.